India is not only a country of diverse culture but it also posses diverse languages, clothing and food. Well each state of the country has its most authentic savory cuisine that drives you crazy. The mouth watering delicacies, the combination of variety of spices and the love for sweet dishes is what our country known for. So when we think of Indian Diet patterns, the generalization becomes very narrow. There are people who prefer pasta offer home cook meals and waffles above Rasgula. So what does the Indian Diet pattern comprises of. Well we are here to highlight a few understanding of ours. • Majority of Indian population is vegetarians and even the non-vegetarians consume less meat than their western counterparts. So this results in fewer intakes of bad fats. • Our food is incomplete without a few pulses and vegetables which results in high fibre consumption. • People generally use coconut oil, olive oil or sunflower oil for cooking which is rich source of MUFAs/PUFAs. • We starve more for whole grains that bread and pasta which is good for our health. Well we all know that carbs are the energy blocks for our body. But choosing the right one is a challenge. While you might have an easy access to bread, biscuit, wheat flour, white rice but what we don’t know is that they contain too much sugar which are bad for our health. We should opt for complex cabs highly rich in fibre like brown rice, millets like ragi and oats because they take long to digest and make you feel full for a longer period. Believe it or not, we Indians lack in consuming the right kind-of and quantity of proteins. Proteins are the most important building blocks of your body, as they help in repairing of muscle and tissue. Around 30% of your diet should consist of whole dals, paneer, chana, milk and sprouts. Now what we consume is Trans fat, very bad for our health. Instead replace your racks with olive oil, soybean oil, mustard oil, seasame, groundnut, butter and ghee. Fats help in synthesising hormones, store vitamins. 20% of your diet should consist of polyunsaturated, mono-saturated and Omega 3 fatty acids. Vitamin A, B12, D, calcium is all very important for proper functioning of metabolism, bone maintenance and cell production. Sources include nuts, oilseeds, fruits and green leafy vegetables. 100 grams each of fruits and green should be consumed every day. • Consume smaller but frequent meals. Have three course meals and a few snacks in a day. • Your dinner should be consumed by 8 PM every day. • Hydrate yourself with lots of water. • Consume a lot of fibre in form of oats, apples and lentils every day. 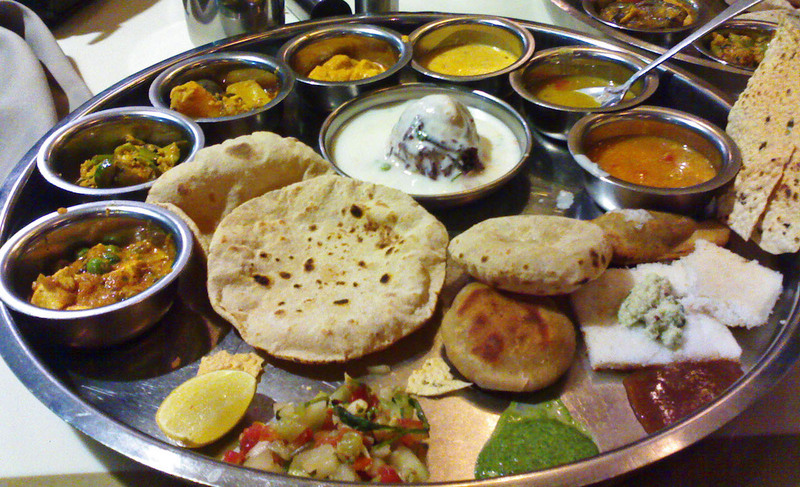 What you need to keep in mind is that Indian meals comprises of a lot of combination dishes. You don’t have to skip your regular meal or make massive changes in your meal; you just have to replace it with healthier options in order to stay fit.